A lot of classic names made major moves in tennis this year. Roger Federer won his 20th Grand Slam at the Australian Open, Rafael Nadal won the French Open for a staggering 11th time, and Novak Djokovic captured both the Wimbledon and US Open titles. 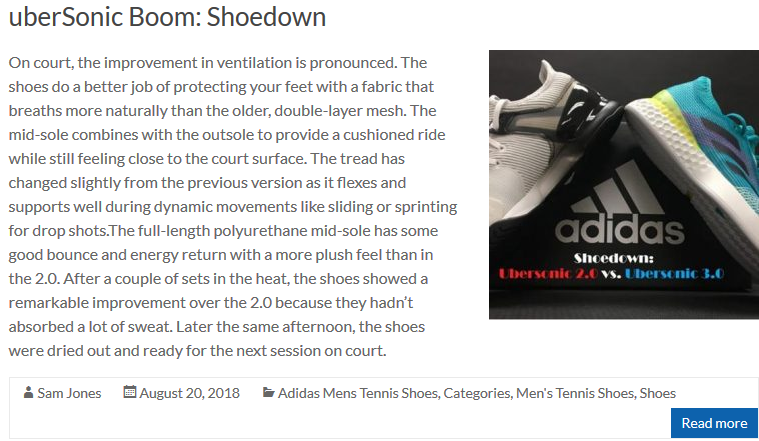 As if these exploits weren’t enough, the tennis world was blindsided by another occurrence late in the year: adidas announced it will replace its iconic Barricade Tennis Shoes with adidas Court Tennis Shoes. You can view Men’s Court Tennis Shoes here, and Women’s Court Tennis Shoes here. As you’ll see, most new “Court” shoes seem to have something in common with a “Barricade” shoe. While I’m hesitant to call the Court versions updates of the Barricade models, many of the technologies have been carried over and modified for the major release. 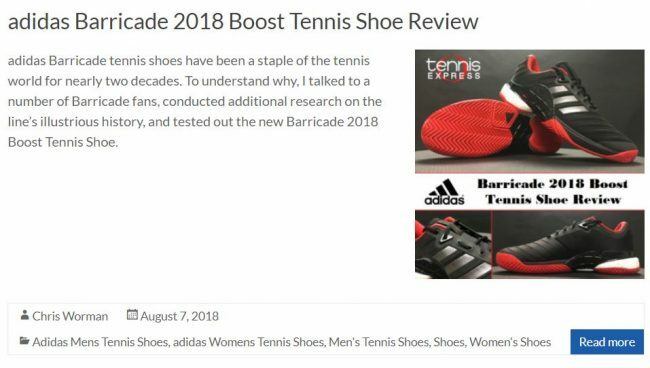 This simply means that fans of Barricade Tennis Shoes can still expect the comfort, stability, durability, support, and performance that the line was known for. One other interesting feature seen throughout the new Court line is the extension of the outsole and midsole around the back of the heel and on the lateral side. In all honesty, it looks pretty crazy the first time you see it, but it does a good job of providing a wider base for superior stability. With all of this said, let’s dive deeper into the new shoes! As the name indicates, the SoleCourt Boost is the closest relative of the Barricade Boost, and is adidas’ most technical performance shoe available. It features a brand new TPU Chassis for ultimate stability, and classic Boost™ technology for premium cushioning and energy return. Both men and women will have plenty of style options in the coming months. As adidas likes to say, when your heart and soul are on the court, you need the SoleCourt. Once again, the name of this shoe gives away where its inspiration comes from. The CourtJam Bounce is similar to the Barricade Classic Bounce in that both feature BOUNCE™ Cushioning Technology. The CourtJam, though, comes with a newly engineered Vamp Construction that combines TPU and mesh for increased durability and breathability. The combination adds a bit of style in my personal opinion. For enhanced protection against toe dragging, adidas wrapped some of the outsole material up the front and medial sides of the toe. The GameCourt is perhaps the most unique shoe in the new Court line because it doesn’t really have a predecessor in Barricade form. It offers a full Bootie Construction and sleeve-like overwrap around the forefoot and toe. In the midsole, adidas introduced Cloudfoam Technology for lightweight cushioning. These features achieve a nice balance between responsiveness, durability, and comfort, and make the GameCourt a great value option for casual and club players alike. It wouldn’t feel right to sign off without including a brief “Ode to the Barricade”, if you will. About 20 years ago, adidas launched the very first Barricade. 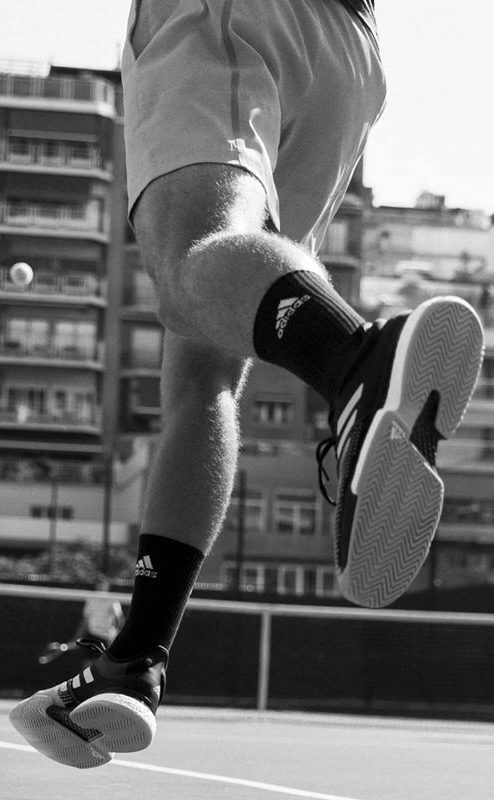 From there, it evolved and expanded into one of the most recognizable shoe lines in tennis. For many of us, a Barricade was our first tennis shoe. Although it’s phasing out, fans of the Barricade should enjoy what adidas accomplished with the Court line. It might not hold the nostalgia of the Barricade, but it marks an exciting new chapter for the brand. If you hold any doubts, just remember: It’s still coming from the brand with 3 stripes.